Today March 12 European Commission presents the report of its HLG on Fake News. Both AEJ International and AEJ Belgium participated in the public consultation on Fake News the EC held in parallel with the work of the HLG. A Report by Irina Nedeva, Association of European Journalists (AEJ) expert on Fake news issues, with additional input from William Horsley, AEJ Vice President, and Rick Thompson of the AEJ UK Section. On 12 March 2018 (Monday), the European Commissioner for Digital Economy and Society, Maria Gabriel, is to receive a report by the High-Level Group which it appointed in January to investigate possible measures on counterfeit news. 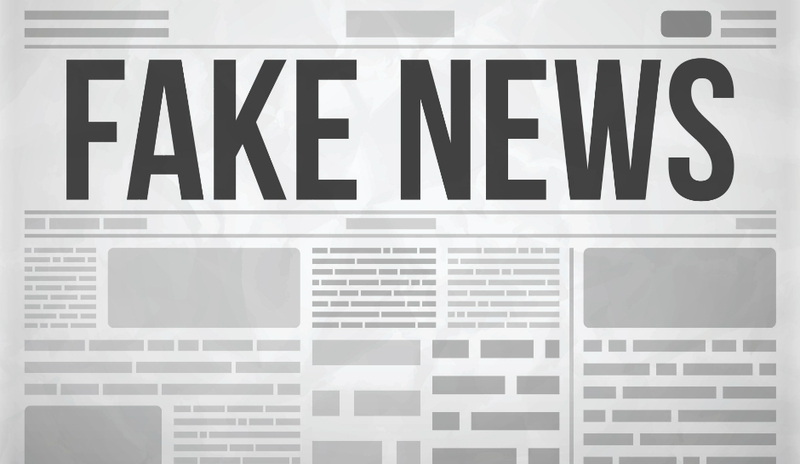 The AEJ supports the working definition given by the European Commission, so we take the phenomenon of Fake News to mean ‘Deliberate use of false or distorted information to influence public opinion in a harmful way’. We also share the basic analysis made by Claire Wardle (First Draft News) that the term fake news is “unhelpful, but without an alternative”, and we should “distinguish between deliberate spread of disinformation and unwittingly sharing misinformation”. To be more specific: the phenomenon of the Fake news include falsehoods or attacks on reputation for partisan, political or commercial advantage, including politically motivated disinformation and material intended primarily to sow discord, hatred, or prejudice and/or to cause intentional social harm; also disinformation with the intention of engendering doubt, uncertainty or confusion about known or verifiable facts. Variants include defamatory and spurious claims or bogus ’facts’ that cannot be backed up by credible sources; half-truths or malicious smears intended to incite populist displays of anger or aggression; arbitrary or vexatious allegations against individuals or entities that amount to bullying, harassment or threats of harm; minors who are targeted or subjected to such material should be protected from deception, humiliation and all forms of exploitation. Fake news also takes the form of partial (using headline words like “Shock”, “Bomb” etc.) or sensational items of information or rumour that are calculated to arouse strong opinions or antipathy but cannot be fact-checked; claims made by politicians especially at times of elections or political tensions that are at variance with objectively proven evidence; photographs that actually relate to other times or locations but which are falsely and deliberately attributed to current events; images and videos aimed at persuading viewers to a particular conclusion in order to deceive or to falsely influence opinions or judgements; imaginary or fantastic claims made to seem to give credence to a particular narrative. Fact checking can be an important tool to identify Fake News and Disinformation, as US mainstream media has done with various statements by President Trump; but great care is needed to identify (and in certain conditions to remove) lies, deceptions or other falsehoods while avoiding unwanted restrictions on the legitimate right to freedom of expression, which can include statements and opinions that offend, shock or disturb. When we analyse the main categories of fake news likely to cause harm to society, the evidence to hand suggests that disinformation aimed at influencing voting decisions at elections, as well as environmental policies and immigration, in general have greater impact than examples aimed at influencing the economic or financial sphere. In other words, Fake news tends to target the political and ideological field more than the economic. According to members of AEJ community, which consists of 20 national sections from all over Europe, trust in the public institutions appears to be a more prominent target for disinformation than other possible targets, such as trust in public security. This suggests that the phenomenon of the so called Fake news is generally aimed at the idea and practice of freedoms and democracy more than directly against security aspects of targeted states, although examples of the latter also abound. To outline the scope of the Fake news phenomenon we must analyse the main economic, social and technology-related factors which, in the current news media landscape, contribute to the increasing spread of fake news. We also should have in mind the behaviour of news and social media consumers, the attractiveness of info-tainment types of media to advertisers, as well as the changing role and working practices of journalists and the impact of sponsored or ‘paid for’ articles and advertorials. The new characteristics that shapes the news media landscape come from the speed and instant spread of information on the world wide web and more specifically through the social media platforms. The acceleration of the spread of Fake news is also closely linked to the use of algorithms, bots, trolls and other technological means of mass sharing and creating clicks on social media. The current media ecosystem which diverts massive ad revenues away from original content producers affects deeply the audience way of consuming information. We also see an exploitation of cheap labour for unethical goals in troll factories and at the same time the commissioning and publication of paid-for articles and disguised political advertising. The anonymity of many media owners in parts of Eastern Europe thanks to a lack of ownership transparency, and the resulting appearance of effective monopolies in the media field lead to concentration of ownership and cross ownership of media and distribution companies and media advertising companies. This pattern makes the whole media scene open and massively vulnerable to being infected by Fake news. We also see frequent failures by Internet intermediaries and social media companies to exercise due diligence to counter Fake news and unlawful content. Producing fake news is easy, while producing quality journalism is hard, expensive and skill-intensive. Digital display advertising and the increasingly commercialized media market accelerate the Fake news phenomenon. Social media have transformed the media and journalism needs to re-tool itself and learn new skills on data, security and the growth of deliberate misinformation. We see a growing pattern of dangerous political instrumentalization of Fake News by politicians for calculated purposes of self-promotion, together with the systematically discriminatory use of resources by public authorities to favour compliant media and disadvantage critical voices. This undermines democratic values which depend on trust and good faith. Claims to be ‘fighting’ Fake news is sometimes misused by authoritarian and populist leaders with the aim of controlling and intimidating the press and spreading propaganda. The above factors must be all addressed in the search for remedies. They should efforts by all concerned to expose half-truths or untrue statements, challenging the propagators. Popular headlines that resonate with readers’ opinions or prejudices on the basis of false, misleading or inflammatory supposed ‘facts’ often strengthen bigoted opinions. One counter-measure could be to ensure that corrections are displayed with the same impact as the original falsehood. The public should be encouraged to view the exposure of fake news as a matter of common public interest.Children at school should be educated in critical thinking, taught methods of dissecting stories, learn how to check facts and encouraged to expose without fear of reprisals even if it goes against the grain of the societies they live in. Such programmes of media education training of the young and adults alike now appear essential to nourish a modern understanding of the uses and misuses of information in the age of social media and mass self publishing. Fake news has become pervasive in a wide range of different channels and platforms. Social media and messaging apps spread information and disinformation shared by friends, family or social media ‘echo chambers’, but we also often encounter fake news in news aggregators including giant companies like Google News, Apple news, Yahoo news and video-sharing platforms (e.g. YouTube, DailyMotion, Vimeo), online blogs and online media. Looking at the dissemination mechanisms, we see that the greatest impact on the spread of fake news within the EU is caused by Online sharing by human influencers / opinion makers, or bots (automated social media accounts); but also — especially in Eastern Europe — we frequently see media editorial decisions and editorials based on falsified or unproven facts and allegations. Thus old forms of propaganda are now mixed in the production of the new, widespread phenomenon of Fake news. Concerning the anti-European disinformation we note a difference between old types of anti-Western propaganda, in which the West was typically portrayed as corrupt and declining by contrast with an image of social stability and order in the ‘socialist’ states of the East, and the typical character of propaganda or disinformation messages today, which not only present a picture of a ‘failing’ West but which are often designed simply to confuse and cast general doubt – as per the now-familiar formulation by author Peter Pomerantsev that ‘Nothing is true and everything is possible’. We therefore suggest the addition of three further categories to the definition of intentional disinformation aimed at the democratic structures of the society, namely – 1) intentional disinformation aimed at changing the geopolitical reality, 2) so-called ’active measures’ of political subversion or reputational damage by state agents or surrogates, and public allegations without substance in fact and 3) smear campaigns, often on a massive scale, against critical voices and watchdog forms of investigative journalism. For the last two years we noted that the public opinion has been impacted by fake news more in the areas of Political affairs (e.g. elections), Immigration policies (e.g. refugees), and Minorities (e.g. religious, ethnic, sexual orientation), and less in the areas of Personal life of public figures (e.g. politicians), Showbiz and entertainment, and Banking and financial services. If we analyse the measures that have been already taken by online platforms, news media organisations and civil society organisations to counter the spread of disinformation online we see that Pop-up messages on social media, encouraging readers to check news and sources play still insignificant role in counter fighting Fake news. It doesn’t work so often and one could barely realise it is in action at all in spite of the fact that the social networks or media claim they do it. Fact-checking through independent news organisations and civil society organisations (explaining why a post may be misleading) so far is the best mechanism to point out fake news but it does not reach the same audience and is time and resource consuming. Closing of fake accounts and removal of automated social media accounts (based on the platforms’ code of conduct) as well as mechanisms enabling readers to flag content that is misleading and/or fake risk being counter-productive and misleading, as they depend on the same principle of ‘the wisdom of crowds’. Trolls and organized purveyors of hate may influence and change the platforms’ decisions, when they massively report or repeat one or other profile or item on the social networks. These measures are subject to the authority which takes the decisions and could be counter-effective – like closing accounts of anti-racists individuals who became targets of white supremacist groups or neo-Nazis. Also in Eastern Europe we see mobilisations of groups that target civil society or minorities, reporting them to Facebook and a poor decision making process by Facebook itself in response. Never take story at face value, especially if it comes from an unknown or untested source. If in doubt, leave it out and find out! Fact checking (human fact checkers) and peer review processes should be encouraged within media organizations and flagging by trusted flaggers is generally preferable and more reliable than flagging by users. At the same time social media and platforms should made available the automated content verification tools to their audiences. Audiences and the general public are not sufficiently aware of ways to verify the veracity of news when reading and sharing news online (e.g. checking sources, comparing sources, and checking whether claims are backed by facts). AEJ recommends to the European Commission to take new measures and allocate resources to strengthen Media literacy and critical thinking among people of all ages. Awareness of the issue and the danger of the fake news should be widely understood and explained. check if the pictures or texts have been published before on the internet, and establish their origin and to what source they could be attributed. We are a professional journalists’ organisation formed by national sections where individual journalists are taking part voluntary. In some of our sections we have websites where we regularly post information and analysis about disinformation content; for instance this topic is crucial for AEJ Bulgaria and we publish many articles on the topic, and recently held two conferences on Fake news ourselves – one on national and one on international level. The AEJ proposes to connect up this kind of activity among the network of the International AEJ, so that examples from Fact-checking platforms may be re-published and journalistic efforts could be combined to tackle the Fake news phenomenon. All articles posted must come from known sources whose integrity we value. The AEJ considers the issues related to fake news and online disinformation as problems that require a good level of public understanding and public media literacy, and a high level of professional and editorial skills, technical expertise and respect for journalistic ethics and fundamental rights. A key element of the appropriate policy responses should relate to the roles, rights and responsibilities of Internet service providers, social media enterprises, relevant technology companies and the journalists. Fake news and propaganda are some of the major challenges in front of present-day journalists. AEJ concerns: What worries us, however, is the risk of resorting to excessive regulation which may use the acknowledged dangers of false or manipulated information as a pretext to stifle free speech. The big challenge is to differentiate between facts, on the one hand, and half-truths and misleading content, on the other. We should also distinguish Fake news from propaganda and try to understand how they cause damage to the whole democratic structure of societies. The AEJ, together with partner organisations among the media and NGOs are actively seeking new ways to strengthen the role of professional journalism, boost media literacy, and encourage the setting up fact checking units in newsrooms as a requirement for more responsible and reliable journalism. What online platforms could do? Online platforms could try to improve users’ access to reliable information and prevent the spread of disinformation online. Rank information from reliable sources higher and predominantly display it in search results or news feeds. Provide buttons next to each article that allow users to investigate or compare sources. Warnings to readers that a post or article has been flagged/disputed staff that constantly monitor online material. To prevent misuses or undue interference with freedom of opinion and expression . Training humans to filter/flag disinformation in clear-cut cases. Inform users when certain content was generated or spread by a bot rather than a human being. Inform users about the criteria and/or algorithms used to display content to them (why they see certain content). Employ fact-checkers at the online platform. We also think that Mechanisms to block sponsored content from accounts that regularly post fake news should be considered as well as to encourage the advertisers not to put advertisements to websites and media that are spreading Fake news. This also means rising the awareness and sensibility of the product oriented industries because advertising their products on sites and media that distribute fake news also undermines their integrity and confidence in their business. What news media organisations could do? Do their work with proper respect for accuracy, integrity and humanity. Double check with two or three independent sources as prescribed in old school professional journalism. Invest more in new forms of journalism (i.e. data-based investigative journalism) to offer reliable and public interest narratives. Clarity in use of language and source citation when it is possible without losing the protection of anonymity for some sources which could be vital for professional investigative journalism. Use of background links when needed for transparency. Links to fact-checking results of any on the topic or related topics. Ensure that information is up to date and new versions or edits are clearly indicated. Pointing out what is known for sure and what is not in the information. Using references to the public sources, institutions, scientific authorities. Pointing out the common sense discrepancies and following logical principles. Editors should require critical reading of the on-line forums and good moderation of the interaction between the media and its readers, listeners and audience. Media organisations could also have a fact-checking section on their websites where the names of investigators could be mentioned. Support civil society organisations and participative platforms (for instance using the model of Wikipedia/Wikinews) to improve monitoring and debunking of fake news. Invest in technological solutions to strengthen their content verification capabilities, in particular for user-generated content, in order not to contribute to the proliferation of fake news. What civil organisations could do? To do their job with due diligence and good faith, practice necessary transparency and support the media and online platforms with expertise. A journalistic organisation like the AEJ has the capacity to contribute to wider efforts to spread understanding about disinformation and to inform both journalists and audiences/users about the ways we could ensure less noise and less harm in the communication channels. The AEJ and other professional networks may combine national/local and EU perspectives. If provided with funding by the EU funding or other sources such organizations could really make a difference. Funding and investments are needed more in humans than in machines, and for better quality journalism and professional training. Journalistic organizations like AEJ could also work for media literacy campaigns and develop activities not only for the journalists but also for the public and news consumers – e.g. on how to distinguish informational content, how to check the news, how to know whom to trust etc. What the public authorities could do to counter the spread of fake news, and at what level (global, EU, national/regional) should actions be taken? It is very important the public authorities who operate with public tax payers money on national, regional or European level, not be misled by politicians who – instead of countering disinformation – may choose to concern themselves with defending vested personal or party-political interests. Public (tax payers) money not to be granted for media outlets that spread disinformation just because they have big ratings or audience reach. Education, advertising by government bodies for sensitising the public and particular sectors (such as law-enforcement bodies and judiciaries) on the dangers of Fake news; cooperation between countries and fact-finding bodies to get more media exposure so that regular citizens know where to find them. Politicians should be held to account for making half-truth statements, especially before elections and in cases that affect the due process of justice and equality under the law. Government-sponsored advertising campaigns, politicians and civil servants should be exposed and held to account when propagating half-truths; the same for companies using misleading claims to advertise their products; members of the public should be made aware of forums where they can question doubtful information and have it fact-checked. Invest in educating and empowering users for better assessing and using online information. Support and fund civil society organisations to improve monitoring and debunking of fake news. Encourage the development of new forms of cooperation with media outlets, fact-checkers and civil society organisations to implement new approaches to counter fake news. Further limit advertisement revenues from state/municipal compagnies or European communication programs flowing to websites publishing fake news. 7 A new body to monitor/regulate? The ‘elephant in the room’ is the question whether an independent observatory/website/agency (linking platforms, news media organisations and fact-checking organisations) could help to track disinformation and emerging fake narratives, improve debunking and facilitate the exposure of different sources of information online? What, if any, will be the added value of such an institution? AEJ considers that the public would benefit from an independent observatory that acts on the first place like a knowledge centre, gathering studies and providing general advice on how to tackle disinformation online instead of doing hard state regulation. Monitoring popular social media publications. Requesting and correspondingly funding organizations that deal with fact-checking to check facts and issue public warnings against platforms, public authorities, etc. that certain of their actions/publications/statements must be marked as disinformation. Monitoring popular social media publications, investigating the facts and developing counter-narratives when needed. Collection of factual information (and possibly consumer ratings) for each source in order to create a factual picture of the activity and reputation of each source. Such a regulatory body, “the elephant”, should not do all these things mentioned above, unless in countries that fully comply with the Rule of law and European values. It could “work” only if we have an ideal state as in the vision of Plato or when there are not conflicts as in “Perpetual peace” imagined by Immanuel Kant. Otherwise, it is better for public authorities that allocate public financial resources in European democracies to support professional journalism, public education, media literacy and critical thinking. Other options include creating incentives for media, IT companies and businesses to comply with the rules because the attack on trust in democratic institutions can cut off the branch of all players in the ?ra of accelerated information and deliberate disinformation campaigns. “Fake news. It’s complicated” – article by Claire Wardle (First Draft).